A Doctor Who fan that know all the Doctors knows about the 4th one and his scarf but did you know he used a different scarf in season 18? He did and this red and stipe one is the one he used and does not look anything like the classic we all know. 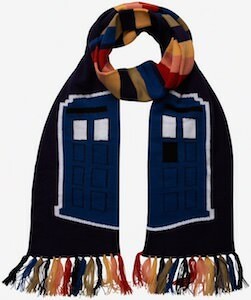 This 100% acrylic scarf can be yours and then you can look a lot more like Doctor Who did in that season. 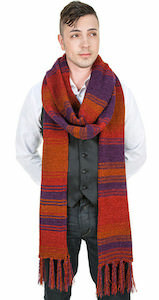 The 4th Doctor’s scarf is 13 feet long and is great just like that in winter or as part of you cosplay or Halloween costume. 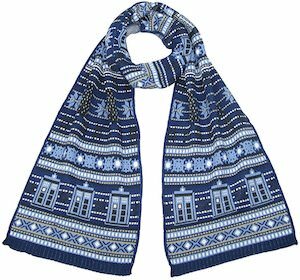 No need to look like everyone else by wearing this classic piece of Doctor Who history.